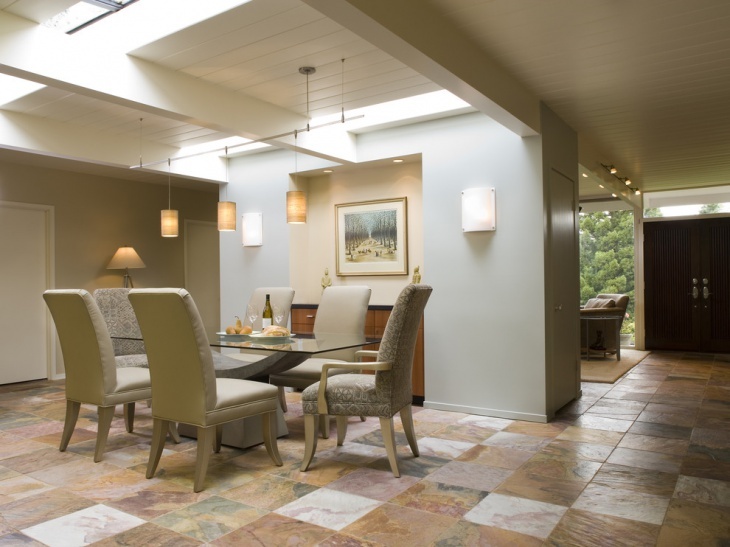 The warm comfort that comes from the tropical style can be also used for designing your dining room. With natural materials and exotic pieces you can make your space unique and beautiful. Today we are going to show you the way to bring the spirit of the jungle into your own tropical dining room. 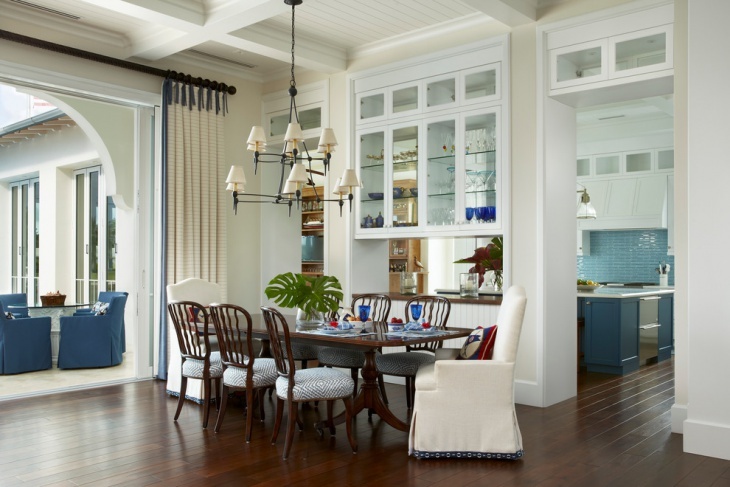 Wood is the number one material to use for a tropical dining room. 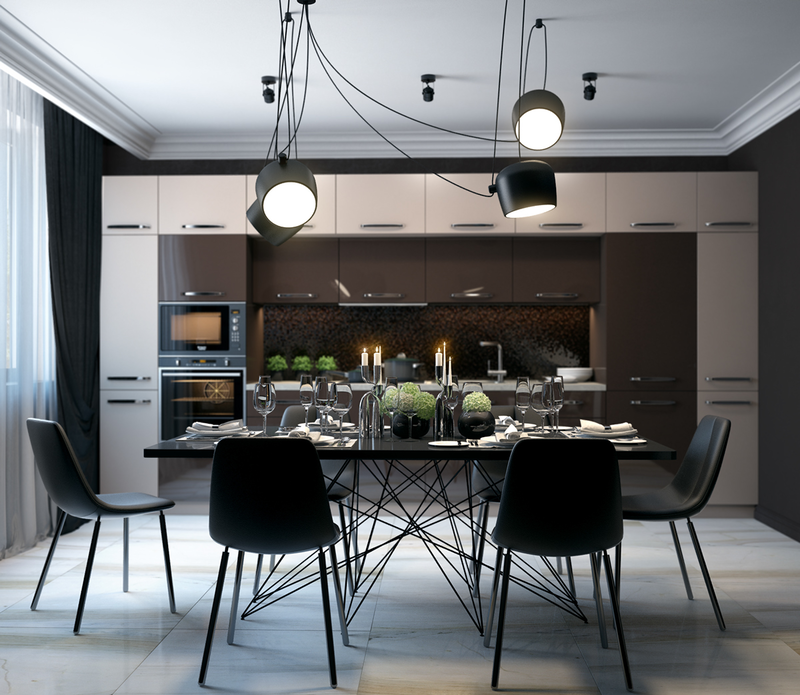 You can choose your dining table and chairs with wooden details. Complete this modern look with a couple house plants that will add to the style. To create a tropical theme, invest in a wooden dining table. Make sure that the wood grains are visible for a more natural effect. Decorate with an intricate lamp that will give an exotic feeling to the style. Tropical is all about the light. 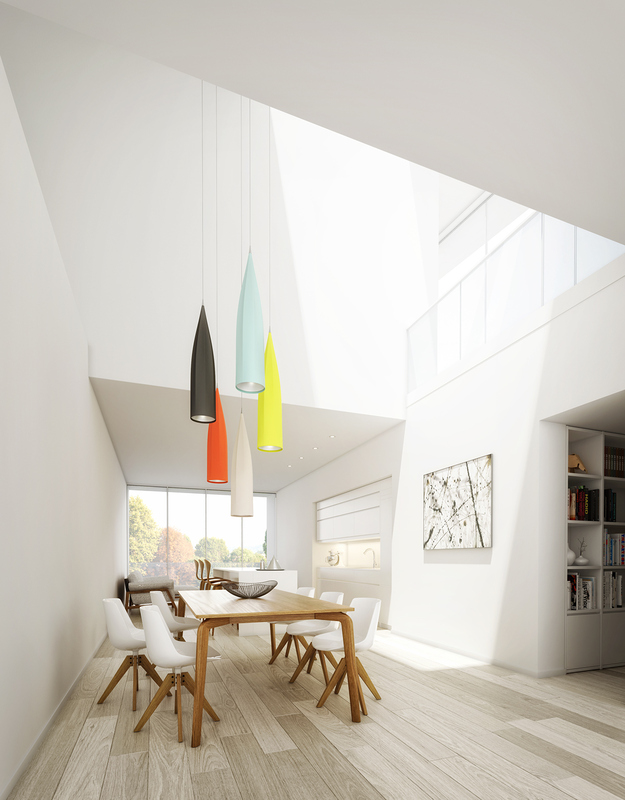 Use light pendants in fine materials. Like these cylindrical shaped ones. The soft orange color of the silk gives a sense of tropical sunsets that complete this midcentury dining room. The colors of this dining room set the tropical style. 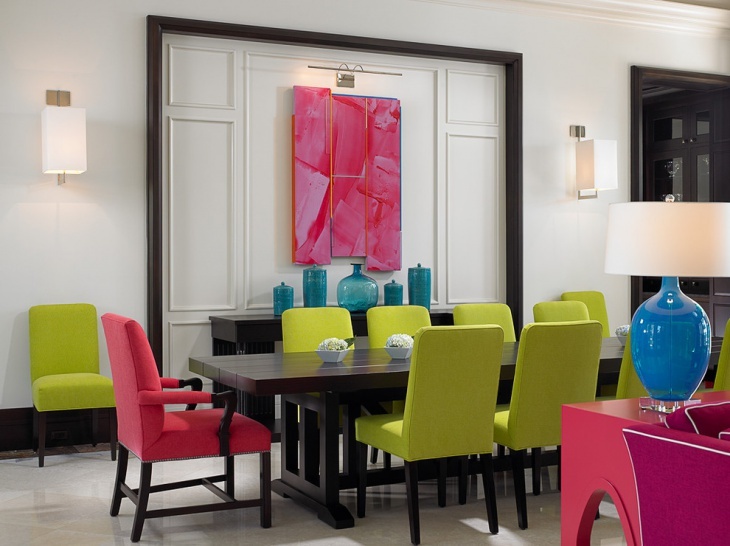 The colors refer to colorful tropical flowers that synthesize an enchanting dining room. 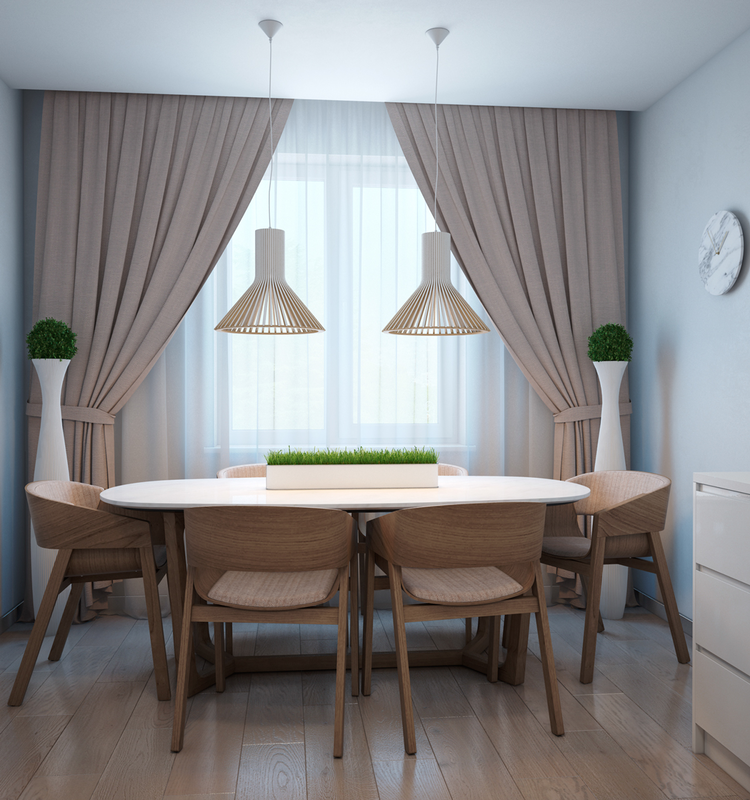 This dining room is suitable for contemporary style apartments. The combination of cream white and dark wood is always a classic choice. The gold details of the furniture as well as the beige carpet add a strong character of elegance in this blue dining room. The weather worn timber of this room adds a homey feeling in this bohemian dining room. The color boosts the tropical style along with the dinner table and the antique chandelier. Complete the style with tropical accessories. Having lunch or dinner outdoors has its own charm. 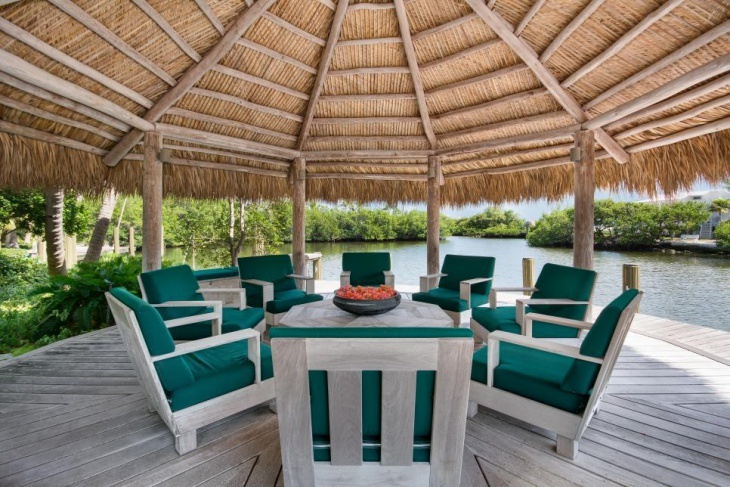 You can build a thatched roof gazebo in your backyard. The raw materials will travel you to the tropics every time you are hosting a dinner party with friends. Create the tropical atmosphere with the suitable accessories. 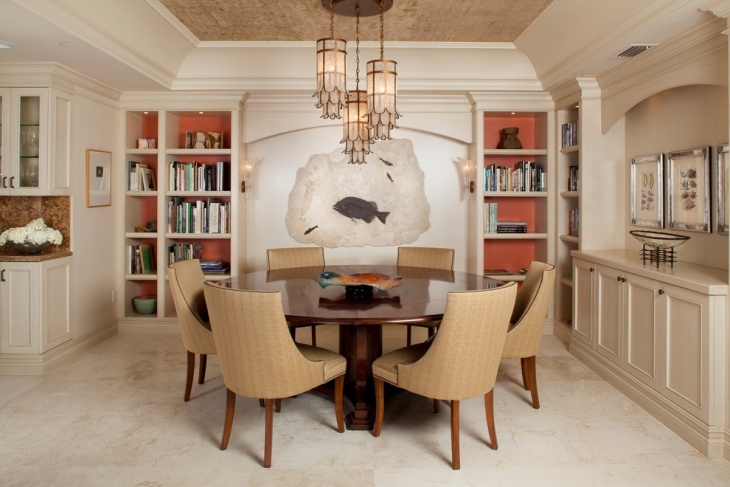 The warm tones of this tropical dining room blend with brass candle holders or chandeliers. A big wall poster in the same color scheme will complete the tropical look. Use light timber as the basic material in your room. Keep a neutral color scheme for the décor too. Long beige colored curtains will make the small room look bigger. Add a couple house plants for a splash of color. 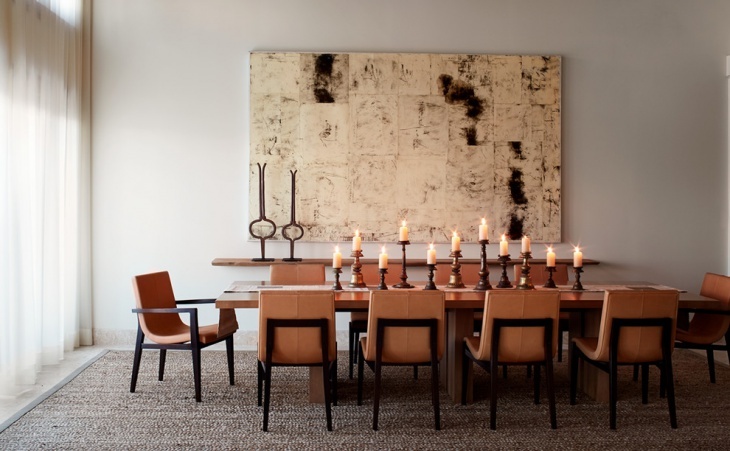 Use a piece that will give character to your dining room. 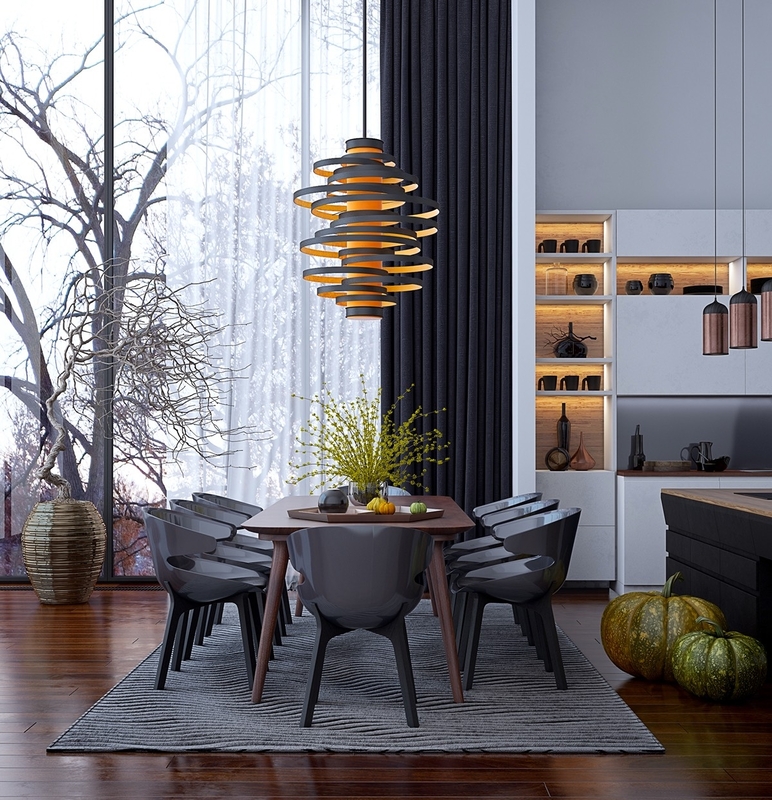 Like the chandelier in this one, you can add an elegant tone to the room. It will match perfectly with a dark wood dining table and chairs. 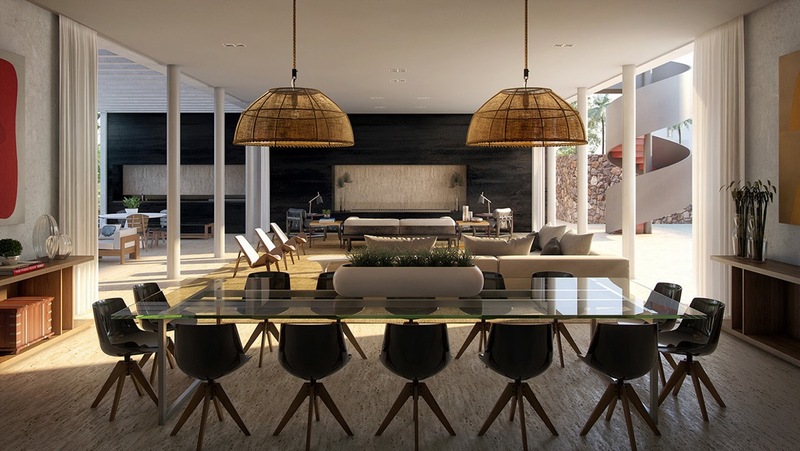 To create the tropical style for your dining room, use natural raw materials. The wood will give the natural feeling to your room and you can always incorporate it by choosing wooden dining tables. Play with the lighting and make the setting look like the tropic sun every single day.